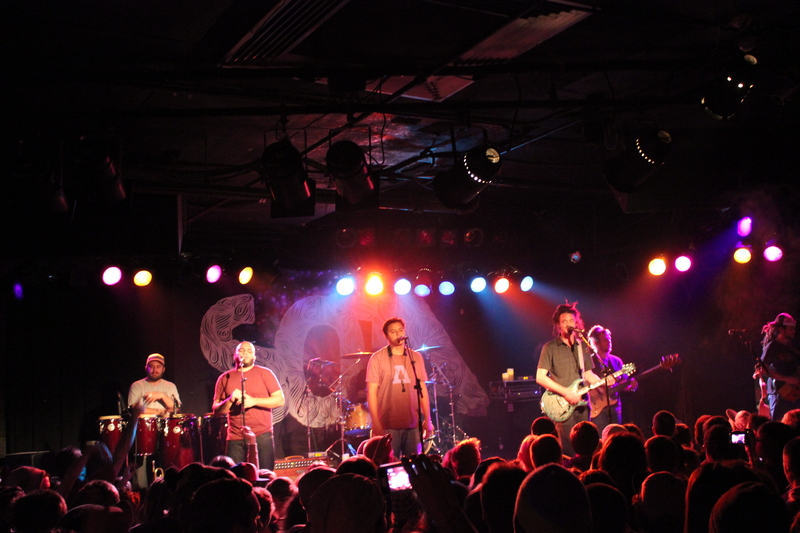 The 7-piece band from Washington D.C. were on their 6th show in 6 nights but showed no sign of slowing down. 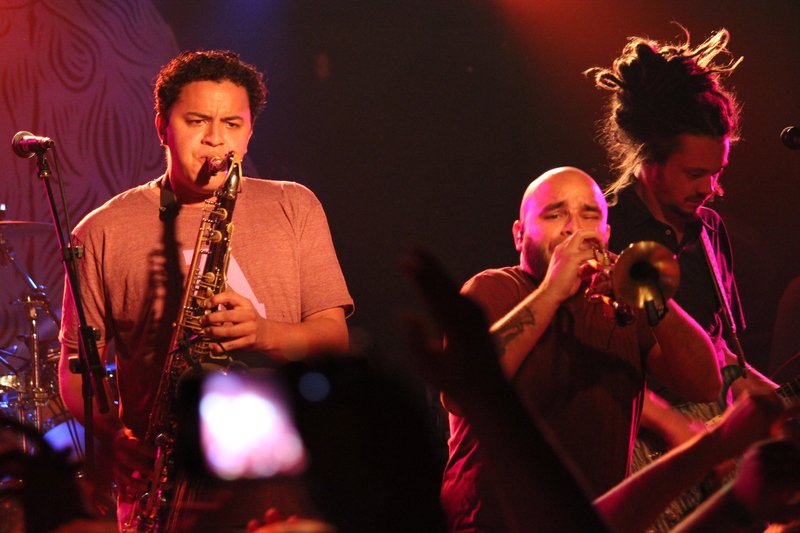 The energy that trumpet player Rafael Rogriguez brought during “Tell Me” made the crowd vibe as one. The first and only bra was thrown on the stage during the fourth song in the set. 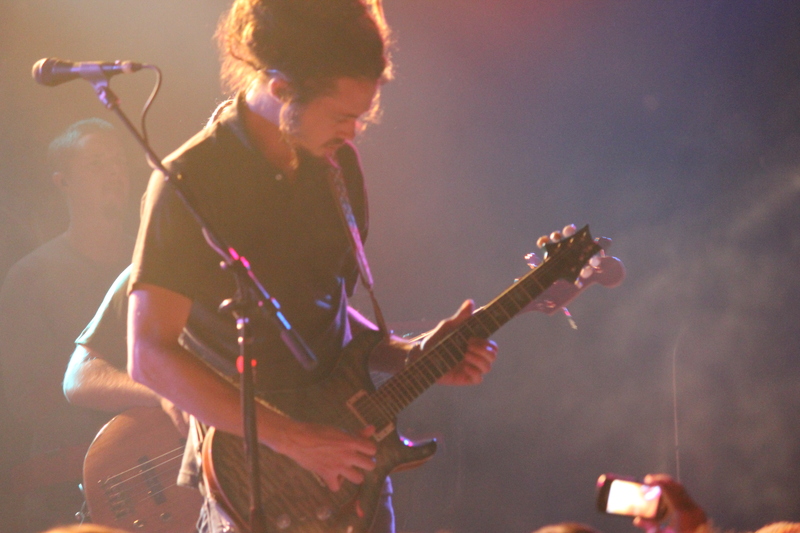 Jacob then told the crowd how it signifies that they have their first night off in a week. Another one of their new songs “Slow Down” just happened to follow-up that interesting incident. The crowd in Minneapolis were really into the show singing along for the majority of the show. 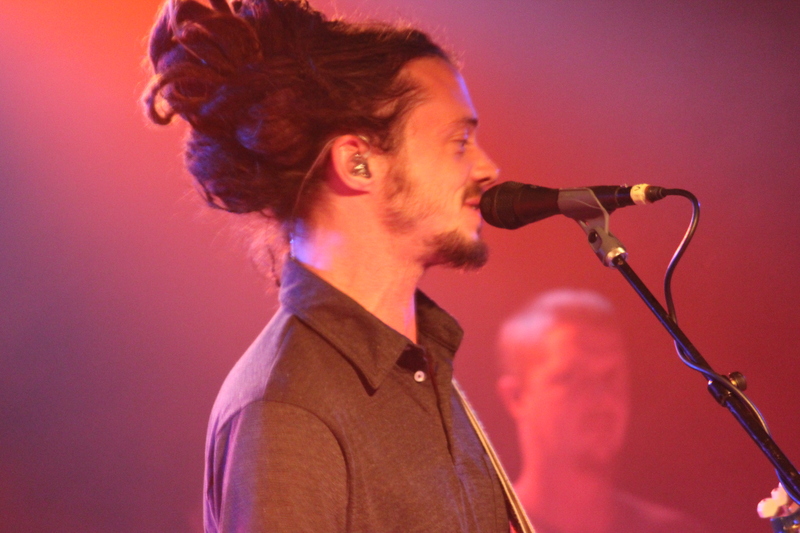 SOJA’s live show is a perfect blend of crowd vibing jams with mellow folk-like reggae for a rollercoaster ride of a show that will take you up off your feet and then back down to earth so you are firmly planted ready to take tomorrow on. The fans are definitely getting the message and it was nice to see a show where everyone was in such a good place. 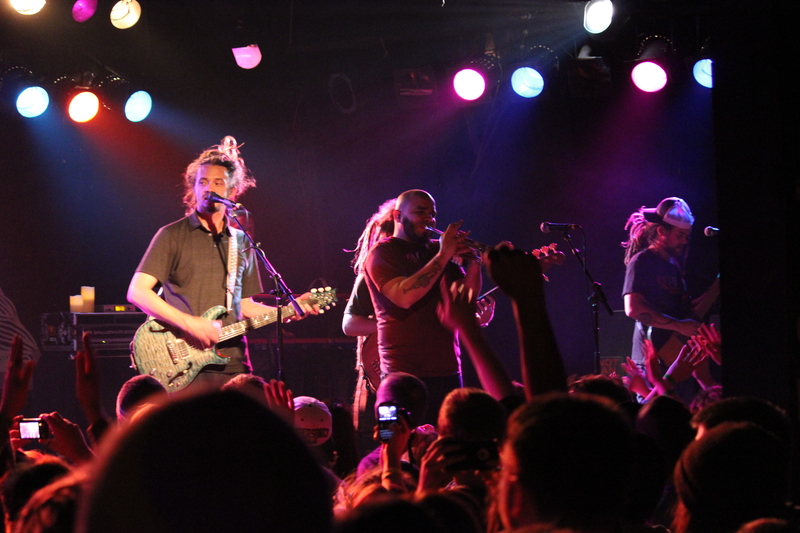 SOJA blended their new album with some of the classics to play an amazing show that lasted almost 2 hours. 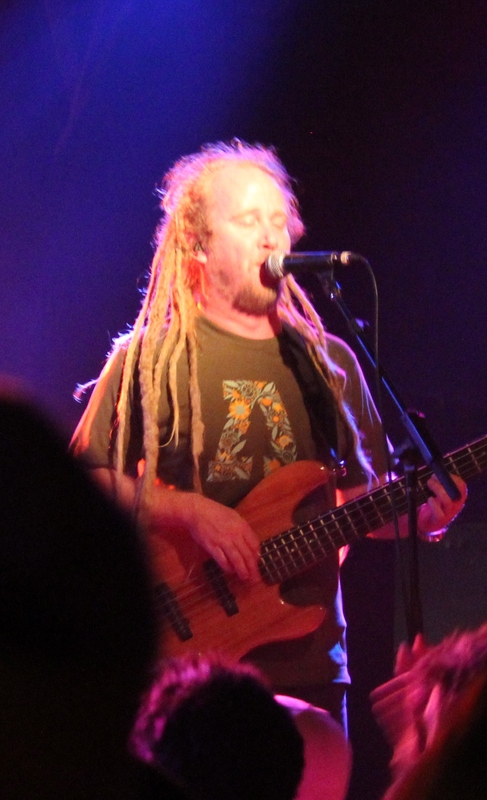 Classic SOJA songs where Bobby Lee takes his deep rastafied voice and gets the crowd elevated was an element that gave their show a stand alone variety of sound. 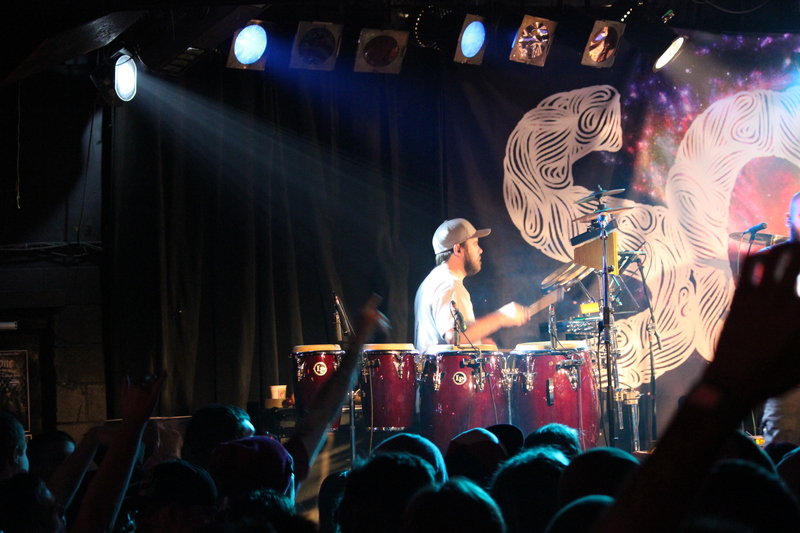 All of the sounds that are brought to the table from percussionist Kenneth Brownell throughout the show provide entertainment and more of that unique sound that comes with a 7-member band. These 7 musicians play so uniformly and provide the crowd with the natural wonder that is organized chaos. Towards the end of the show they slowed it down with “When We Were Younger” and this song means a lot to the band because it explains how they feel about not having the answers like they once thought. Now that they are wiser they just want to ask the questions to allow their fans to think about what the answers should be. 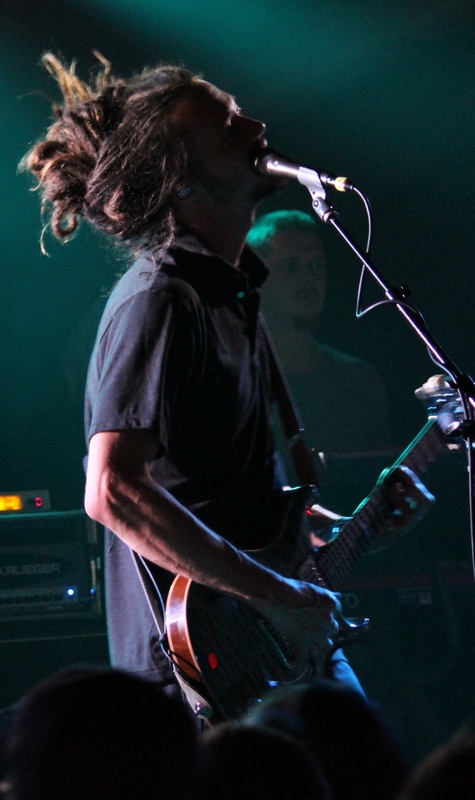 This was followed by introductions of the band mates that were accompanied by mini-solos. 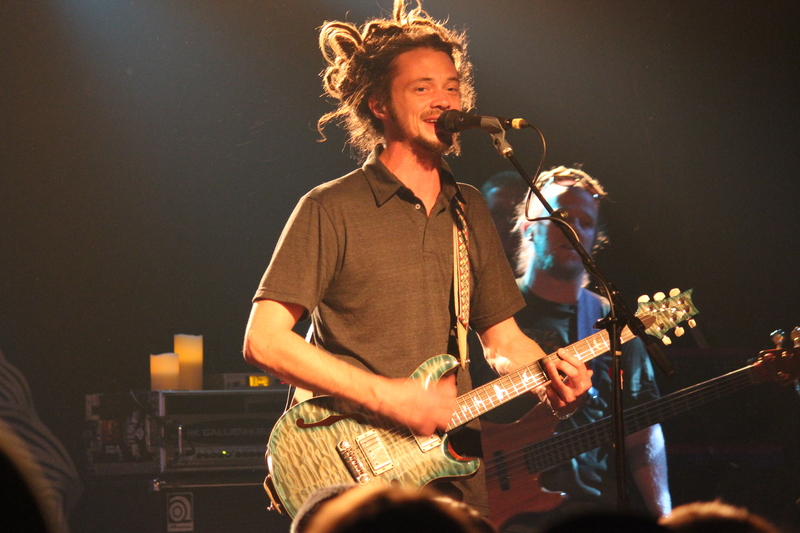 SOJA left the stage only to get the infamous “1 more song” chant. 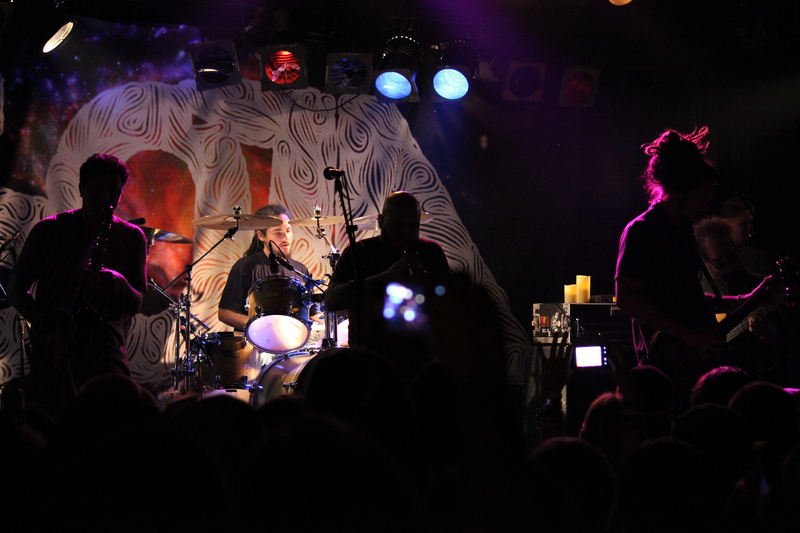 There was no way they weren’t going to come out for an encore after the love the crowd had already shown for them. 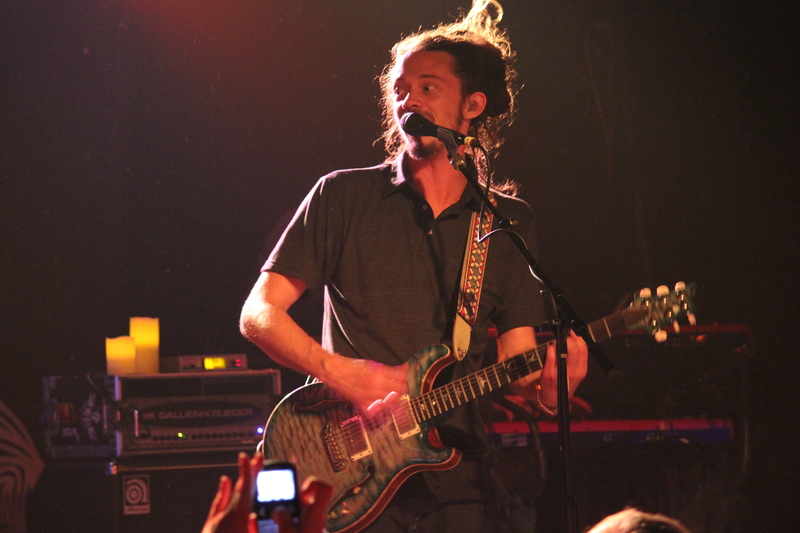 One part that sticks out in my mind is when Jacob Hemphill was trying to thank the crowd after he finished up a song. He was taken back when the crowd continued to scream and clap for what seemed like an eternity. The encore started when Jacob walked out alone and started playing “Everything Changes.” He sang the first verse by himself at a really slow pace then the band walked back out and joined him for one hell of a jam-session of a finish. 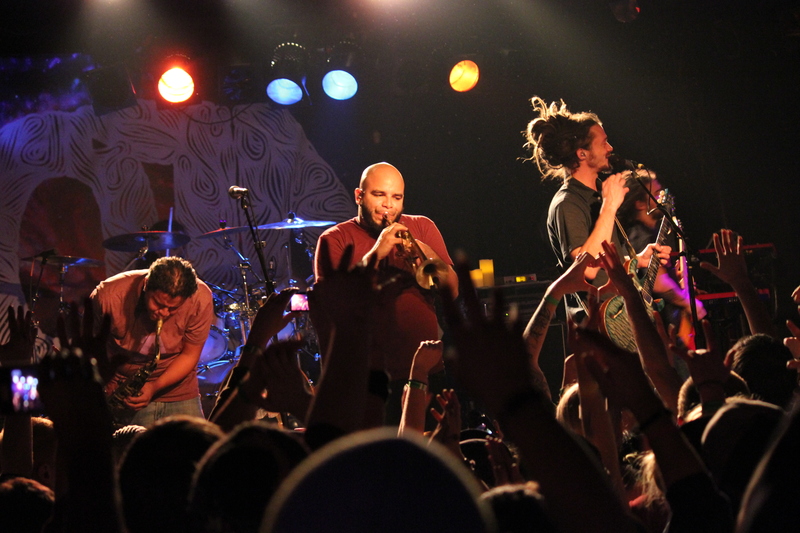 If SOJA ever comes to a city near you I highly recommend you take the trip to go and check this out. From the saxophone and trumpet to the whistles and tambourines you will not be disappointed with any sound that hits your ears. 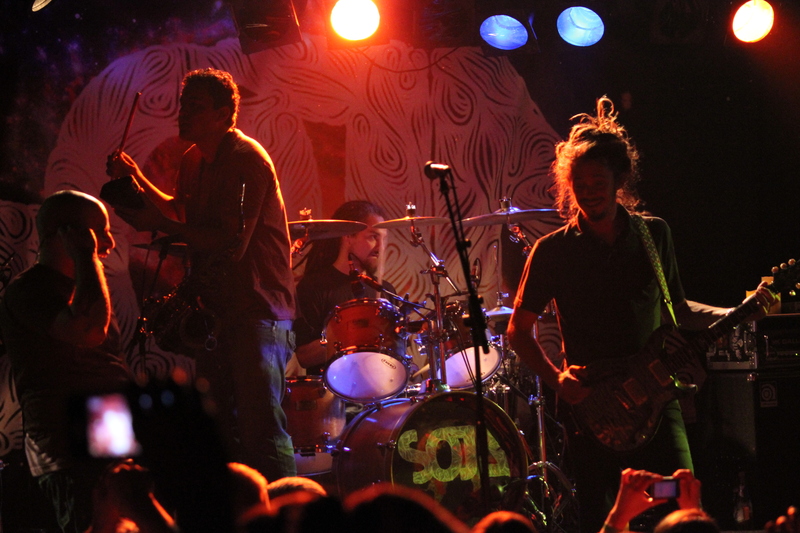 Plus, you will leave in a lot higher spirits with the message that was just delivered to you by the guys of SOJA. 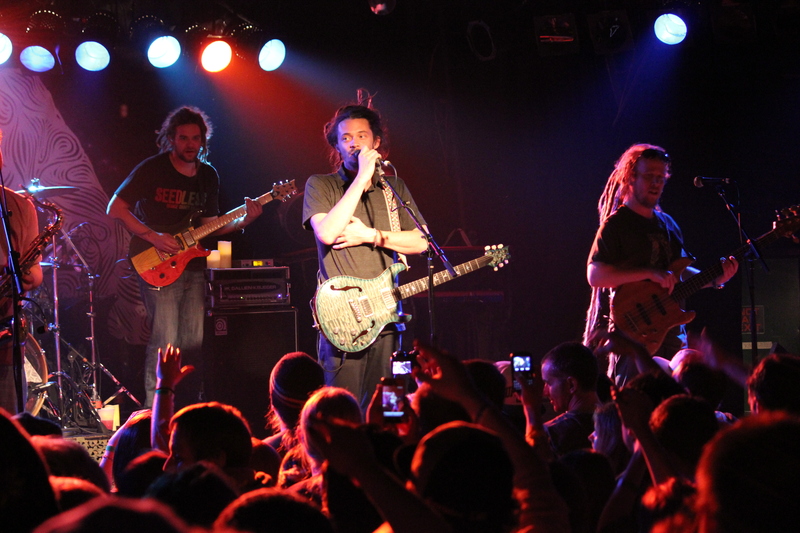 This entry was posted on Monday, February 20, 2012 at 1:11 pm and is filed under Concert Reviews, Reviews with tags Bobby Lee, Everything Changes, February 19, Hellman Escorcia, Jacob Hemphill, Kenneth Brownell, Mentality, minneapolis, Rafael Rodriguez, Ryan Berty, Slow Down, SOJA, Strength to Survie, Sunday, Tell Me, the Cabooze, When We Were Younger. You can follow any responses to this entry through the RSS 2.0 feed. You can leave a response, or trackback from your own site.